Monaco 5 Feet 3-Inch Acrylic Freestanding Non Whirlpool Bathtub in White Nothing highlights and compliments the overall look and feel of a bathroom like the Monaco Seamless Freestanding bathtub from Acri-tec. Preferred by professional designers, a freestanding bathtub allows you to artistically position your tub for the best, most relaxing view, or to simply create more space. With ergonomically shaped, ultra-deep bathing wells, every Acri-tec freestanding tub is designed to provide the ultimate in luxury. 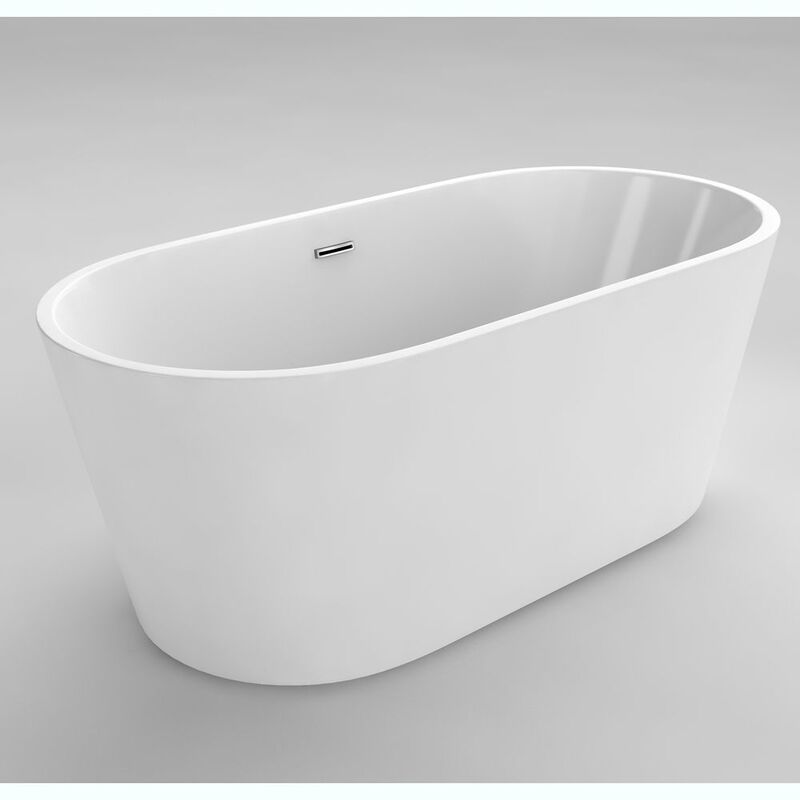 Each Monaco Seamless Freestanding bathtub is hand-crafted using high-gloss, non-porous, stain resistant, white acrylic and offers completely hidden plumbing. To make installation easier, we've pre-installed four adjustable levelling legs to allow for irregularities in your floor without dealing with the complications of shimming. When you're ready to make a bold statement with a sophisticated design, choose an Acri-tec freestanding bath to create a beautiful, one-of-kind space.